Political Correctness was invented to ensure that we respectfully use the correct words to describe different kinds of people. This in itself is not a bad thing and shows that we have become more progressive and socially aware. Frankly, as a diversity consultant who spends a lot of time in different workplaces, I can see what was once considered a mark of advancement and social achievement; has taken an ugly turn in our workplaces — political correctness. Repeatedly, I hear people expressing that they are afraid to say anything at work or debate someone who is considered “diverse” because of being perceived as “sexist”, “racist”, or a”homophobe” etc. To me this is very disturbing, as it creates inequalities in the workplace where issues that should be addressed are not because of fear. It means that some people will be treated better than others because they are afraid of challenging someone who is different. These feelings fester and can take the form of both covert and overt forms of anger toward the “diverse” employees. The whole idea behind political correctness, I believe was to create inclusion and respect for one another, but I see the reverse happening. How could this go so seriously wrong? Political correctness also brought with it a whole bunch of terms that we can call one another or “label”. Labelling fellow employees is a great way for “labellers” to shut down dialogue. After all, once you are called a “racist”, or “homophobe”, Islamophobe”, anti-Semite, or “sexist” usually you are so upset you don’t want to have a rational conversation. All of those feelings of hurt and misunderstanding just want to take over. Or you blow up. So what goes from bad only goes to worse! The “labeller” may have had a point, but no new understanding transpires between the two people who disagree because the dialogue never takes place. Academia regularly churns out new political correctness words to add to the lexicon. What if we can’t keep up with all of the PC words that are being hurled at us? Does this mean that we are insensitive? Are we out of the loop? We are made to feel that way some how. Knowing the latest PC terminology doesn’t necessarily make someone enlightened about diversity. Human rights complaints loom over every employer’s head, with the fear of accusations. Instead of human rights being used as a guide, they are evoked sometimes for the most mundane of issues, that could easily be resolved through good dialogue and conflict resolution, with a far more positive prognosis than a legal battle. Fear has become normalized in our workplaces because of political correctness. 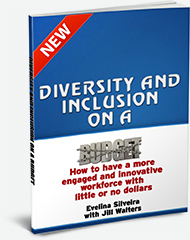 Only open workplace dialogues will increase inclusion thus reducing our preponderance to focus on differences. I find this to be true today more than 20 years ago. I became a manager last month. I decided that there is a difference with being respectful to different people of different persuasions. However, there is a line where that ends and begins with the actions of the person. Especially when dealing with the work performance of people. I think it is necessary to praise those excel rather than reward who are not performing well. Political correctness is lying to the people around me and the business that produces the work that brings in revenue that supports the needs of the business. If I were to engage in PC, I couldn’t do my job effectively.If we see someone not performing as expected we should be candid and sincere without being rude or condescending to let them know where their performance is failing. PC avoids dealing the problems rather facing what is happening. In my time in the corporate world of more 20 years, I have seen businesses go under because of political correctness. I would rather have 20 diverse options engaging dialogue to solve a problem rather than 20 people silenced by political correctness and are force to not to think for themselves. Thanks so much Liz for sharing your opinions on political correctness. You sound like a fair, balanced and skilled manager. If we do not expect good performance from everyone then we perpetuate more inequities in the workplace. Political correctness is particularly bad in not-for-profit organizations. I cannot tell you how many workers I have met who are getting psychologically ill from having to suppress their feelings all the time to go with a status quo – which by the way no one supports only superficially. 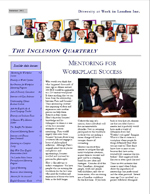 Blog: https://diversityandinclusionatwork.com/. Let’s get a conversation going about a subject that is vital to the peace and prosperity of both our countries.